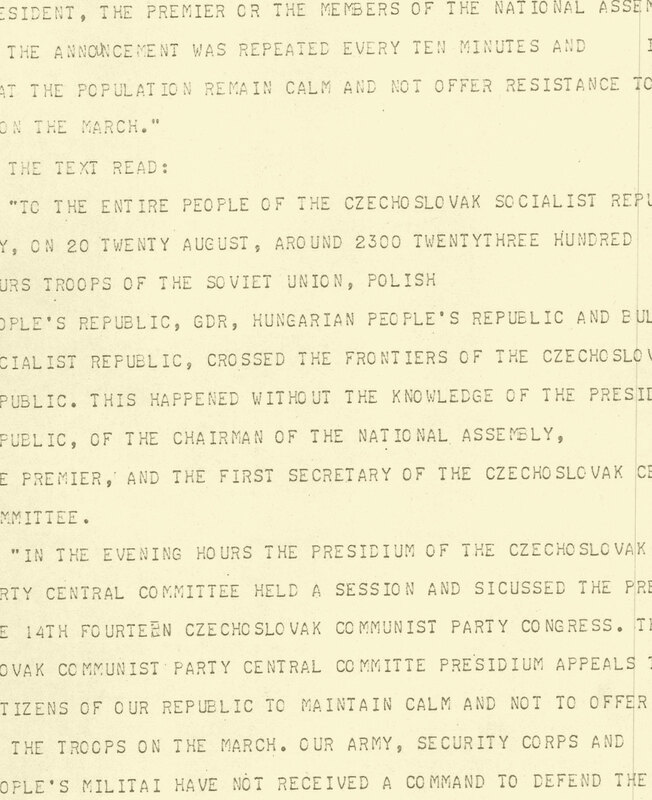 Between August 20 and September 10, 2018, the Vera and Donald Blinken Open Society Archives at Central European University made public close to 4,000 news items issued by the Central News Room of Radio Free Europe on the 1968 invasion of Czechoslovakia. The documents were published in “real time”, hour by hour, minute by minute, exactly 50 years after their release to the national broadcast desks for dissemination. After September 10, 2018, the documents remain available on this website, organized by the date and time of their publication. A search engine will be added shortly. To access the documents please click on the picture below.